Essentially a warm, sweet, jazzier single coil sound for the neck position. The extra row of exposed "Staples" help widen the magnetic field to help give a warmer, softer, sweeter sound than a traditional single coil. The coil wire used in the original 510 and 511 Staple Pickups were somewhere between 43AWG & 44AWG (Wire Gauge) so there was a choice of which to use for my own versions. After a number of prototypes using both wire gauges, I finally decided on the ever-so-slightly thicker 43AWG for the humbucker and more turns of thinner 44awg for this single coil version. Handwound here in my workshop, Manchester. PLEASE NOTE: My Handwound Classic '65 "Staple" Pickups are a standard Mini-Humbucker size, the original Hofner™ 510 & 511 Pickups are slightly wider. 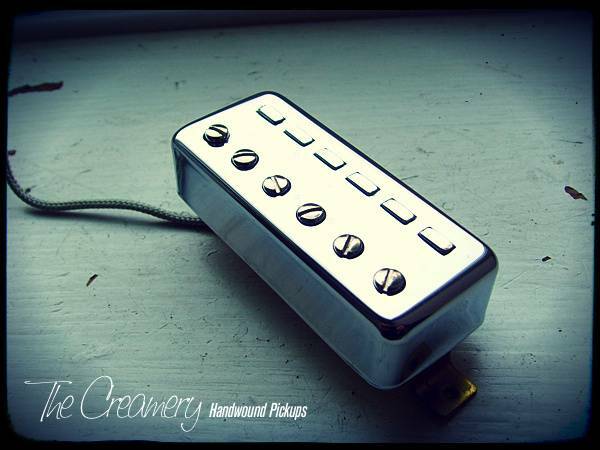 I designed these pickups to be a direct drop-in replacement for standard Mini-Humbucker pickups. I do often repair & rewind original, vintage Hofner™ ones, just get in touch.